Mountain climber at the Chaos of Targasonne. 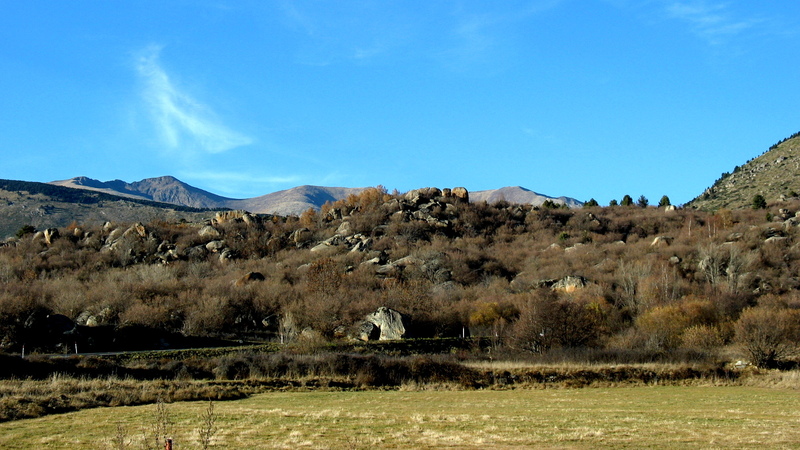 At 10 km far from Dorres, in the direction of Font-Romeu, chaos of Targasonne offers an amazing spectacle of huge granite blocks scattered on a south slope. The mountain climbers find a wonderful training site. They often make a long distance to come there. A scale of difficulties from easy to more difficult makes the site particularly attractive.